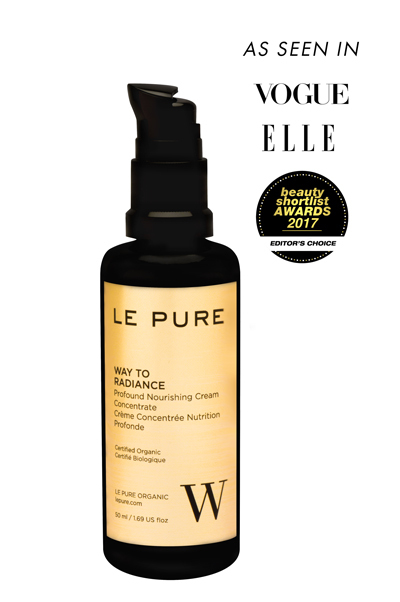 WAY TO RADIANCE is an award winning cream concentrate with an extremely high concentration of active plant nutrients, which stimulate the micro-circulation of the skin and as a result reduce the formation of wrinkles. The cream creates a natural lifting, tightens the eye contour and strengthens the hydrolipidic film. Ideal for ALL skin types and especially for dry, oily, sensitive, acne prone skin and skin with wrinkles, expression lines, pigmentation spots, Couperose and fragile capillaries. The cream concentrate can be applied as often as needed. We recommend to apply small quantities and to repeat after a while, as the skin can only absorb a certain amount of product.